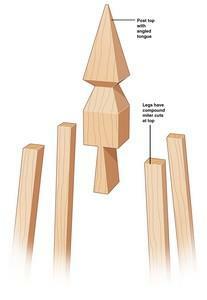 Add drama to your garden by building an obelisk with free woodworking plans. This is a rustic style obelisk made out of two peeled maple ladders held together with rungs. Building this obelisk is easy with the right tools and once finished it is very useful for your vine plants. 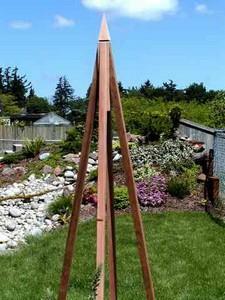 Here is a good-looking obelisk with a towering design that will add beauty to any lawn or garden. 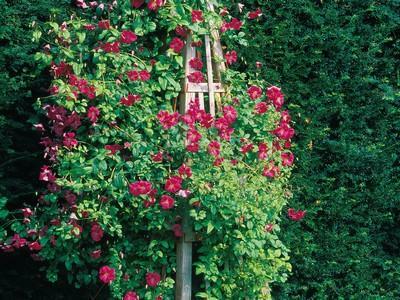 This beanpole obelisk looks great in your garden and is also useful and easy build.